Orchard Bank, which is now a part of the HSBC family, is known for its classic MasterCard and Visa offerings that give consumers with less than perfect credit the chance to obtain a real credit card with a reasonable rate of interest that can be used to help them rebuild their credit rating. What some may not not know is that for those whose credit is a little better, or has improved while using a Classic product Gold and Platinum MasterCards are available as well. Although none of the Orchard Bank credit cards come with a great many bells and whistles attached to them they do offer a solid financial tool to those with a less than perfect credit profile. Orchard Bank offers its Classic credit cards as either a MasterCard or a Visa, and unlike many other sub prime credit offerings actually screens an applicant’s credit rating during the application process to determine whether or not they qualify for an unsecured credit card or will be offered the opportunity to obtain a secured credit card that they can use to help build, or rebuild, their credit. If your credit is really shot, or you simply have no credit at all then you will be offered the opportunity to obtain a secured credit card through Orchard Bank even though you did not qualify for an unsecured product. A secured credit card can often be one of the quickest and most effective ways to begin repairing a damaged credit profile and the $200 minimum security deposit charged by Orchard Bank is lower than many other secured credit card offerings. Those who do opt for an Orchard Bank secured credit card will usually only have a credit limit that is equal to the amount of their security deposit. Over time though those who maintain a good payment record are granted credit line increases and may even be upgraded to an unsecured Orchard Bank credit card. 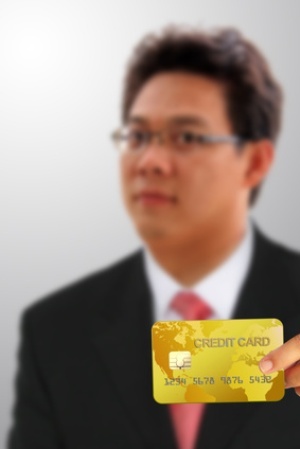 All activity on the card is reported to all three major credit bureaus. There are still fees attached to a secured credit card and the Orchard Bank secured credit cards are no exception. In addition to the initial security deposit cardholders are charged a $35 annual membership fee but that fee is waived for the first year of card membership. The average APR charged on the Orchard Bank secured cards is a very reasonable 7.90%, making it easier to afford to use the card responsibly. Once your Orchard Bank secured credit card account is open you can access your account on-line at any time and customer service reps are available during normal business hours. If an applicant does qualify for an Orchard Bank Classic unsecured MasterCard or Visa they will be charged an initial card processing fee of $39 which is immediately deducted from a card-holder’s available credit limit. They will also be charged an annual fee of $29 to $59 for their first year of card membership that is then increased to $39 to $79 for every year subsequent to that. The actual amount each individual card holder will be charged depends upon their current creditworthiness as it appears to the issuing bank. The APR attached to the Orchard Bank Classic MasterCard and Orchard Bank Classic Visa card is a variable 14.90% or 19.90% depending on creditworthiness. Balance transfers are permitted but they will be assessed a 5% fee at the time of transfer. They will then be subject to the same APR as any purchases made on the card. If such things matter to you it is worth noting that both the Orchard Bank Classic MasterCard and the Orchard Bank Classic Visa are available in a number of different, rather attractive styles. Both kinds of credit card account can be completely managed on-line and accessed at any time and cardholders can sign up for text and email alerts that are sent out whenever new activity is noticed on their card. For those with a better (but not perfect) credit history Orchard Bank does offer both a Gold and Platinum version of their credit cards. The real difference between the two offerings is in the fee schedule. Orchard Bank Gold credit card holders are charged a one time $19 processing fee when they open their account while Platinum card holders are not subject to one at all. The annual membership fee for Gold card holders may also be a little higher, as it is $49 for the first year and $59 for all subsequent fees while the annual fee for platinum card holders can be as low as $39. The APR on both the Orchard Bank Gold card and the Orchard Bank Platinum card is reasonable and well in line with other credit card offerings. Gold card holders are accessed at 19.90% and Platinum card holders at either 14.90% or 19.90% depending on their credit profile and card payment history.